Report RSS	New Year, New Look! We got rid of the lighting system we were using and transitioned to a simplistic “toon shader.” The results were surprisingly great! It seems every new year brings with it more certainty for the artistic/stylistic choices we want to make for the appearance of the game. This year, we were pleasantly surprised by what our look has become. Specifically, we got rid of the lighting system we were using and transitioned to a simplistic “toon shader.” This means that instead of having a traditional light-and-shadow interplay, where a light source creates a gradient of color on an object, we gave objects simple shades of color that give the appearance of shadow. Considering our low-poly angle, this was a really fun discovery as our meshes and assets feel more connected, seamless, and singular in appearance. That is to say, our colors are working together. And this only took 2 years, ha! Well, such is game development -- a slow discovery sometimes. Here are samples of our new lighting style. What do you think? 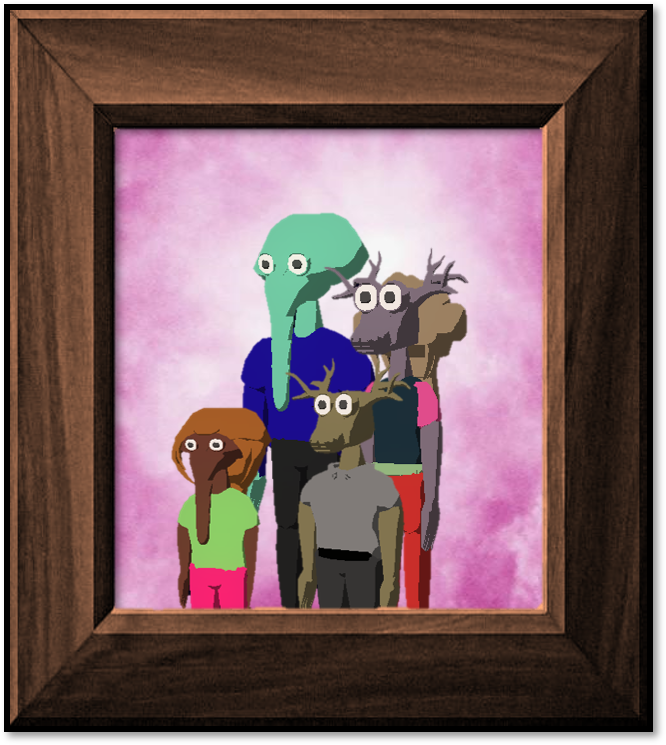 Ah yes, a nice alien family portrait. More aliens. Check out that shading! Coffee up and Mugalo Cup! A small space drive thru. Our galaxy is filled with civilization like this.